Lorilyn Roberts' hopes of motherhood came to a devastating end when her husband left her for his pregnant girlfriend. 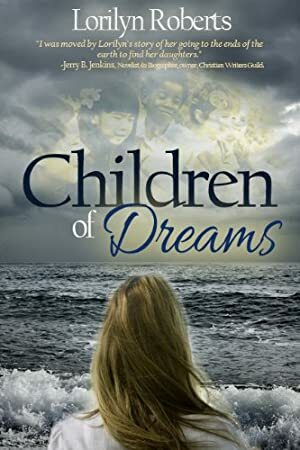 Eight years later, Children of Dreams reveals God's restoration of her dreams through the international adoption of her two daughters. Written as creative nonfiction, an analogy is drawn between the physical adoption of children and God's spiritual adoption as recounted in the Bible. Ms. Roberts skillfully weaves in her own back?story while telling about her adventures in Nepal and Vietnam, filled with political intrigue. Scriptural insights and reflections interspersed throughout the book show Lorilyn's reliance upon her heavenly Father when all hope seemed lost. The reader will enjoy the vivid descriptions as well as a window into the plight of those struggling to survive where basic necessities may not be available. The adventure includes meeting a future Prime Minister, a missing baby, and many other surprises. The medical mystery in Children of Dreams was featured on Animal Planet's "Monsters Inside Me," in the episode of "Shapeshifters." Ms. Roberts' appearance on the show was to inform adopting families about certain medical conditions endemic in developing countries. Log In to track Lorilyn Roberts on eReaderIQ. to be notified each time the price drops on any book by Lorilyn Roberts. to stop tracking Lorilyn Roberts. We started tracking this book on July 9, 2013. The price of this book has changed 54 times in the past 2,116 days. The current price of this book is $2.99 last checked 13 hours ago. The highest price to date was $5.99 last reached on July 24, 2013. We last verified the price of this book about 13 hours ago. At that time, the price was $2.99. This price is subject to change. The price displayed on the Amazon.com website at the time of purchase is the price you will pay for this book. Please confirm the price before making any purchases.